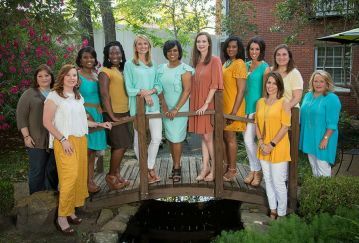 Change happens from the inside out—and that couldn’t be more true than with the Junior League of Jackson, Mississippi. In 2014, the League took a step back and realized that their demographics did not reflect the community it served. Even though Diversity and Inclusion was at the forefront of the JLJ’s community efforts, it realized that it still had a ways to go within its own membership. The JLJ understood that change doesn’t happen overnight, so it began by creating a Diversity and Inclusion Taskforce and a 5-year Strategic Plan that prioritized D&I efforts from every level of Leadership. The Strategic Plan included a D&I Statement, the adoption of significant Cultural Competencies Guidelines and creating a Sponsor Pool to assist in opening up the admissions process. The JLJ also completed a renovation to make its Headquarters ADA compliant, realigned its relationship with their Sustaining members, and created a powerful video and social media campaign entitled “#IAmJLJ” as a way to celebrate diversity within the League. A number of D&I-based trainings were organized for members, elevating the D&I climate within the JLJ. The League looked at what they could do to stretch the initiative outside of their own organization and to start building traction with other local non-profits looking to prioritize D&I. This type of elevated awareness in and outside the League empowered the JLJ to train and develop members in new ways so they could create an inclusive environment from the ground up. It has also allowed League Leadership to make more thoughtful decisions concerning strategy, partnerships and process, which has strengthened the League and its mission. The JLJ has since built D&I and Cultural Competencies into all Leadership Training, and are willing to have the difficult conversations needed to set the tone from the top. The training has extended into the JLJ’s Provisional classes as well, with D&I and Cultural Competency components built into every session, creating a new normal within the League. Clearly, D&I is a complex issue, but the JLJ has demonstrated its commitment and creativity to think outside the box and get very “real” with all of the opportunities they have as an organization to push forward. Overall, the effort has been an enormous success. The JLJ has increased diversity in its leadership roles, old barriers have been broken down within the League, and new community relationships have been born. The public perception of the JLJ has been elevated as well, re-engaging and building awareness with their Sustaining members to better serve the community and fulfill their mission as a whole.